Andalucía occupies a particularly special place, on an invisible and ever fluctuating religious border between Christianity and Islam, and this cultural verge has its own look and feel. Plus, there's also the spectacularly beautiful landscape! The best places to stay in Andalucía are just as varied as the scenery, from citrus scented hilltop hideaways to city pads ringing with flamenco rhythms, from luxury hotels and guesthouses, to affordable self-catering apartments and villas. Andalucía's coastline has a lot more to offer than just the glitz and sunshine of the Costa del Sol. At the western end of the coast, Costa de la Luz has huge sweeps of Atlantic sands and the immense wetlands of the Doñana National Park. And to the east, the Mediterranean Costa Tropical and Costa Almería have unspoilt fishing villages tucked between lovely bays and mountains. The eight provinces of Málaga, Granada, Almería, Córdoba, Jaén, Huelva, Sevilla and Cádiz are all well worth visiting if you can drag yourself inland. Andalucía’s cities are grand, noble and usually ancient, each with a glorious architectural legacy. Seville and Granada are the queens, but less-known cities and towns such as Córdoba, Almería, Ronda, Ubeda and Málaga each have a rich mix of castles, palaces, churches, squares and many of the best places to stay in Andalucía. Andalucía's interior is varied, from the fabulous wooded hills and craggy peaks of the North - heaven for hikers or riders - to the Sierra Nevada, the tallest mountain range in Western Europe outside the Alps and the Tabernas where spaghetti westerns were filmed. The fascinating architecture of the region has been influenced by the best of both Muslim and Christian design, and you'll find vast mosques which are used as churches, and vast Arabian looking palaces with beautiful Renaissance interiors. Andalucía's cities are full of surprises. The region's famous white, hilltop towns have plenty to offer as well when it comes to history, art and architecture. Many times the conquered and many times the conqueror, these outposts borrow from both traditions. And from them the region has spawned its own cuisine and music, and some of the world's most unique festivals! There is a fiesta somewhere every month of the year in Andalucía, some celebrated across the entire region, others more local. Many are religious festivals but all have a celebratory element. The best places to stay in Andalucía can become booked up well in advance of the fiestas so forward planning is essential. A trip to Andalucía wouldn't be complete without a visit to Granada's Alhambra Palace. This medieval complex is a stunning representation of Moorish architecture, complete with beautiful cloistered courtyards with fountains. An iconic spot. Head off hiking through the Doñana National Park, a vast nature reserve and wetland ecosystem brimming with different species of birds. Seville's Plaza de España is a delight, mixing Renaissance with neo-Moorish architecture and brimming with history. Rent a boat out and take a trip along the canal for a truly relaxing afternoon. Be sure to visit the El Caminito del Rey walkway (it's about an hour north of Malaga), pinned against the steep walls of a narrow gorge and offering wonderful views. It can be dangerous though, so is probably not suitable for young children. The Bioparc Fuengirola is a great family day out. This is a special spot, a zoological park where the 200 species of animals coexist and share the same habitat in an effort to keep things as natural as possible. A truly captivating experience! Use our guide to the best places to stay in Andalucia, whether you want to explore the gorgeous white villages, or simply chill out by a pool with a good book, and start to plan your trip. The Hospederia de El Churrasco in the old Jewish quarter of Córdoba is traditional, antique-filled and ornate with Roman mosaic tiling and Moorish influences. 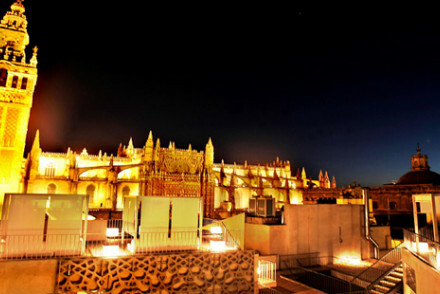 The Palacio de Villapanés AlmaSevilla is a good mixture of Moorish and modern influences in the heart of Seville. 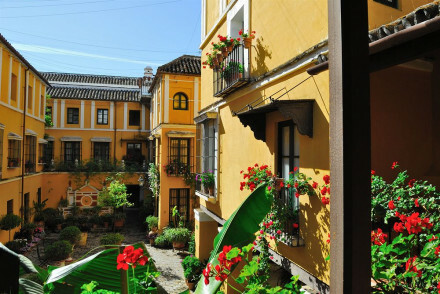 Also in Seville, Las Casas de la Juderia in the old Jewish quarter is a cluster of 27 interconnected town houses linked by mustard-coloured and green courtyards. La Casa Morisca in Bajo Albayzín in Granada is a prize-winning restoration of a 15th Century house with a galleried inner courtyard, wooden bannisters and a marble pool. One bedroom has its original wooden painted ceiling. There are lovely details like this to be discovered all over this enchanting region of Spain. 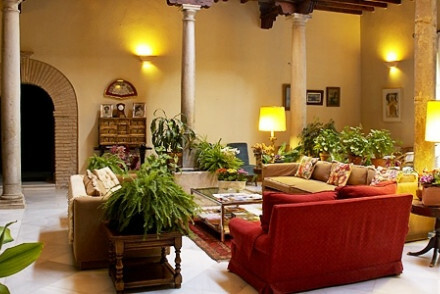 The Hotel Santa Isabel La Real in Granada has tower rooms with views of the Alhambra. A small and family run guesthouse, this is our recommendation if you value a personal touch. They make you feel as if there's nothing that's too much trouble. 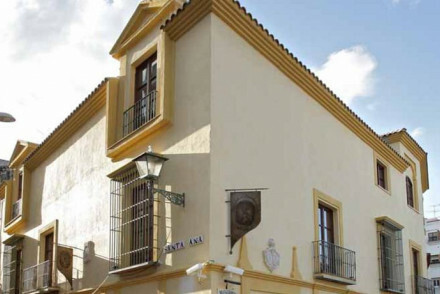 Hotel Catedral Almeria is a 4* townhouse located in central Almería. Boasting unfussy contemporary accommodation, it's just a stone's throw away from the city's main sights. 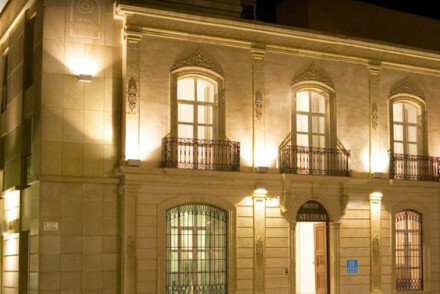 Hotel Villa Jerez provides classical accommodation with lots of natural light. 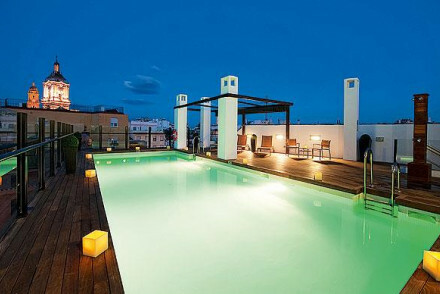 Relax by the pool or make the most out of its central location to fully get to know Jerez. 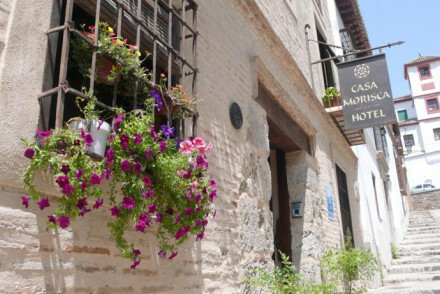 Casa del Capitel Nazari is a palace-style hotel brimming with Andalucían elegance. 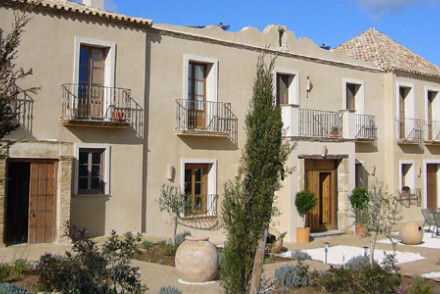 Accommodation features wooden beams, white washed walls, stone floors and a lovely courtyard. What's more, you have all of Granada's slights right on your doorstep. 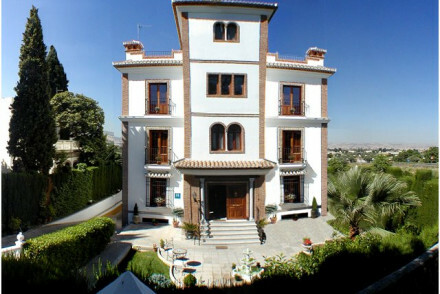 Villa Oniria enjoys a superb setting in central Granada. This mansion house provides contemporary chic accommodation and a courtyard restaurant serving regional specialities with a modern twist. 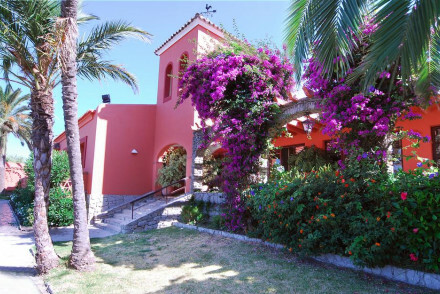 The Amanhavis Hotel, on the Costa del Sol, is a distinctive small hotel set apart from the tourist spots in a charming Moorish mountain village which is just a short drive from the sea. The food and pool are excellent. 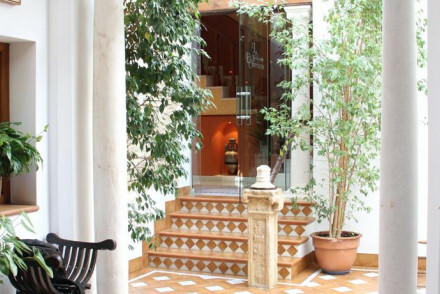 The Hotel Claude in Marbella is worth staying in for its sunlit central courtyard alone. The food is good and the rooms, although slightly masculine in design, still manage to be romantic. The Hotel Punta Sur in Tarifa is a beachside hotel with views all the way to Africa. This is a lively spot with big rooms, a tennis court, a large pool and an array of sporting activities. It's also great for families. 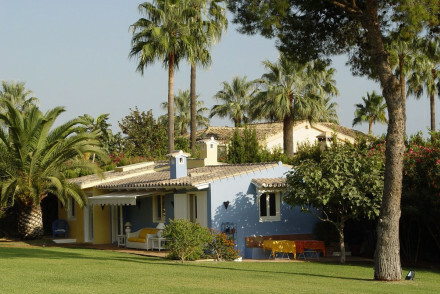 Casa la Concha is a set of chic, little B&B cottages set on a hilltop on the Costa del Sol. Quiet, green and relaxed, the views of the Mediterranean are lovely, and because you have your own cottage it is a good option for those with kids. The Hotel Hurricane on the Costa de la Luz is another hotel with views stretching all the way to Africa. These ones are tinged with a tropical foreground and a windsurfing beach. Plenty of activities again, and quite fashionable. For a complete getaway in a remote spot La Posada Del Torcal is romantic and intimate with views across the valley that will make you smile every morning. The Hacienda de San Rafael on a former olive estate mixes rustic charm with modern sophistication. Bedrooms are all split-level and there are three romantic garden casitas (small cottages). 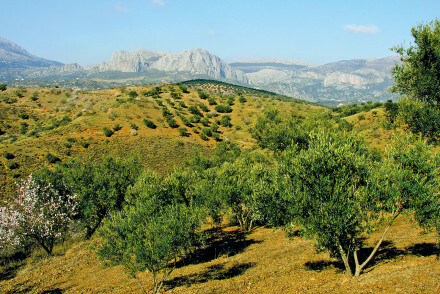 La Fuente de la Higuera has an olive-related history as well, being a former olive mill. Comfortable unfussy rooms and a homely garden give this hotel a country house party feel. The Casa Vina de Alcantara is a converted 19th Century hunting lodge on the edge of a family vineyard and has a shady garden with a swimming pool and lake. 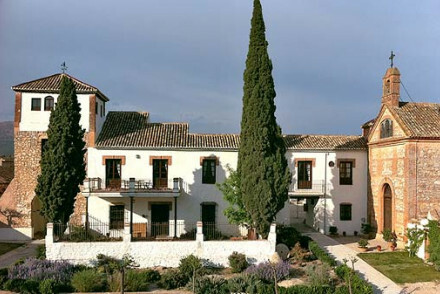 Alqueria de Los Lentos is a gorgeous old mill renovation surrounded by olive groves and magnificent gardens on the edge of the Sierra Nevada. Rooms and suites are 'rustic chic': think fireplaces, stone floors, exposed beans and brightly painted walls. 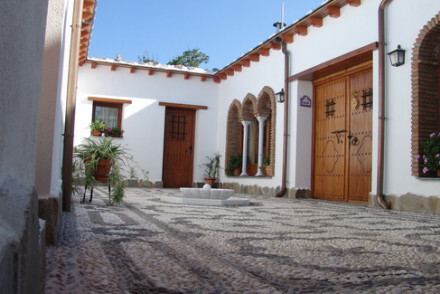 Cortijo La Fe is a relaxing retreat in the hills above Granada. Surrounded by olive groves and almond trees, these rustic rooms have silk rugs, beautiful tapestries and panoramic views. 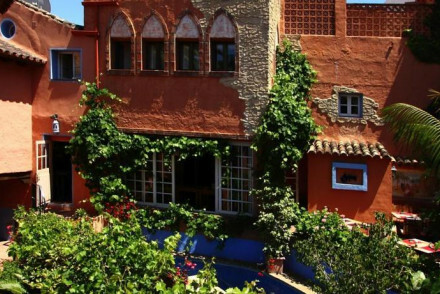 The hotel also has beautiful gardens, and kitchen gardens, and authentic Arabic baths. 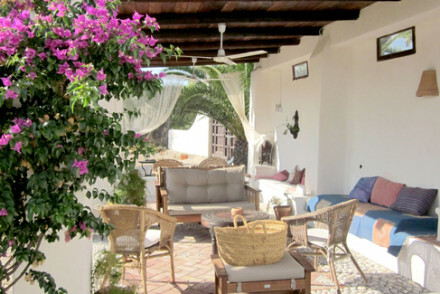 Cortijo La Haza is a charming four bedroomed guesthouse which is perfect for anyone searching for the authentic Andalucia. It offers traditional interiors, pretty gardens and a gorgeous salt water infinity pool with views to die for. Great for families and excellent value. The town of Ubeda in the Jaén province is home to the Palacio de la Rambla, a homely converted 16th century urban palace. 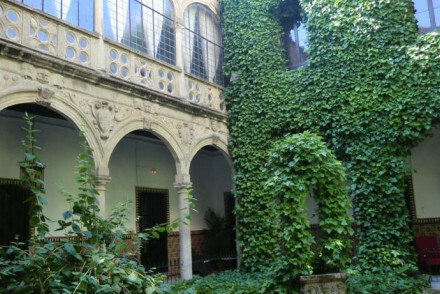 The cloistered ivy-clad courtyard and the rooftop views are two very good reasons to stay there. 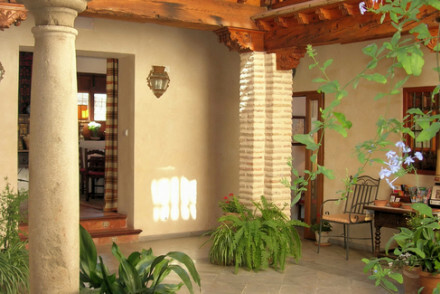 Casa Rural las Chimeneas is a beautifully rustic guesthouse on a hilltop, with both rooms and self-catering cottages. The views from the private terraces span from the mountains to the Med., and there's plenty to do here all year round, especially for those who love the great outdoors. 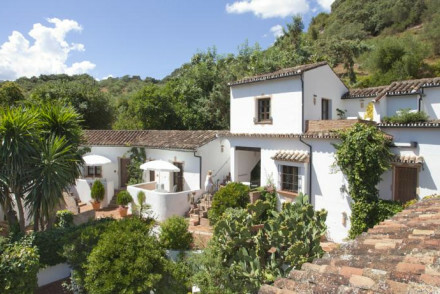 Las Navezuelas is set in a renovated 16th-century mill enjoying an idyllic rural setting surrounded by olive groves. Offers simple accommodation, a pool and extensive gardens to wander around. A tranquil escape. 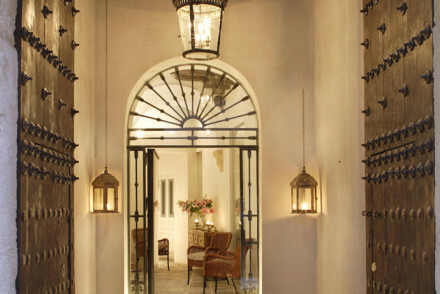 Hotel San Gabriel is an 18th-century family home brimming with character. 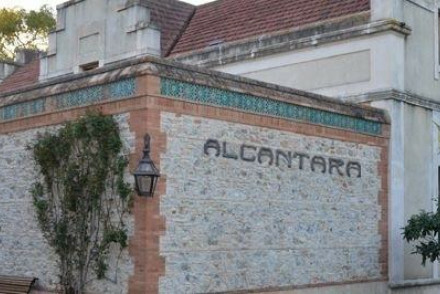 Situated in the heart of old Ronda, this traditional spot is full of artworks and antiques - as well as boasting its own cinema showing black and white classics! 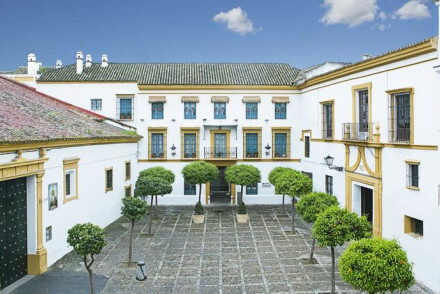 Casa Palacio de Carmona is an elegantly restored palace situated in a hilltop town outside Sevilla. It boasts charming traditional accommodation with antique furnishings, rich fabrics and four lovely inner courtyards in which to enjoy your meals! Oozing character, this is the ideal romantic getaway. 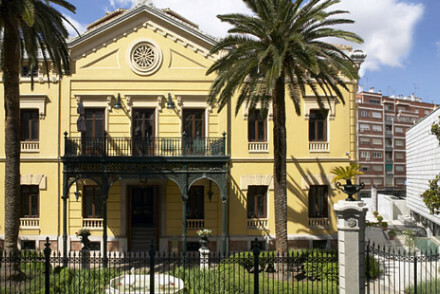 Hotel Palacio de los Granados is an 18th century palace mixing traditional Moorish and Baroque interiors. Unwind by the pool, relax together in the courtyard with a drink or head off on long and romantic walks of the surrounding countryside. 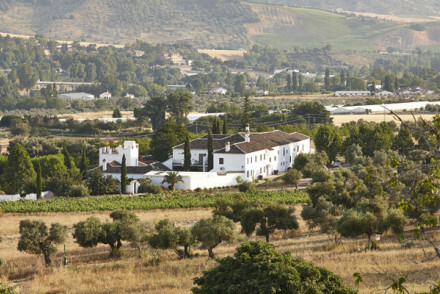 Cortijo del Marques is a country house hotel with splendid views of its rural surroundings. The rooms are incredibly atmospheric with fireplaces, exposed wooden beams and stone floors whilst there are also two family suites available to book (sleeping up to four people). Plus, there's a large garden for the kids to run around in. El Geco Verde is located right by the Natural park of the Sierra de Castril, with plenty of great walking trails nearby. With smart accommodation, family suites available and plenty of nearby activities, it's a wonderful family choice. Family Agua Amarga provides unfussy accommodation (including family rooms), an outdoor pool and a typically Andalusian restaurant. What's more, it's just a short distance away from the beach. 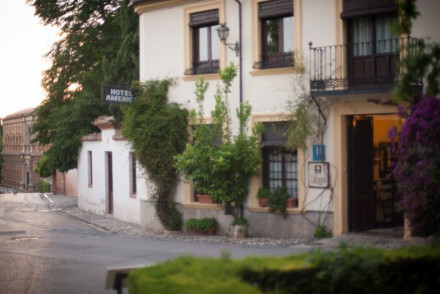 The hilltop Hotel La Fructuosa boasts charming rustic accommodation offering valley views, and two of their rooms sleep four. A great family option and excellent value. If you're travelling with a group of friends or family, then the best option may be to rent a villa or apartment. For a great selection from luxury villas to budget studio apartments, check out our online partner, booking.com. In terms of both the weather and the crowds, it's probably best to visit Andalucía in May or October when the average temperature is around 16°C. Whilst the temperature skyrockets in summer (the average daily temperature in July and August is 34°C! ), expect the region to be packed full of tourists at this time. International visitors can fly to Málaga-Costa del Sol Airport, Sevilla Airport, Almeria Airport or Gibraltar International Airport. Flights from London typically take just under 3 hours, and 45 minutes or so more from Edinburgh. 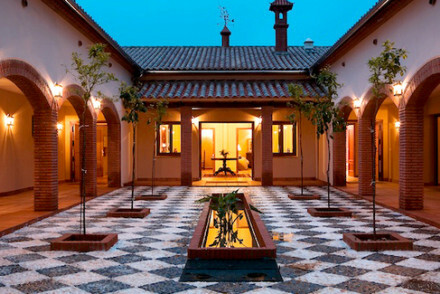 Still not sure which is the best place to stay in Andalucía for you? 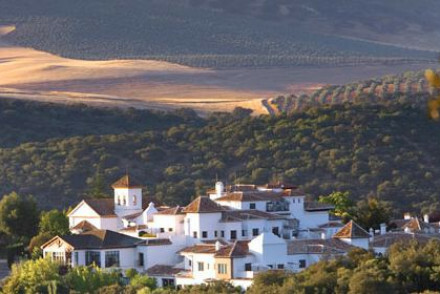 Browse through our list of the best village and rural hotels in Andalucía. 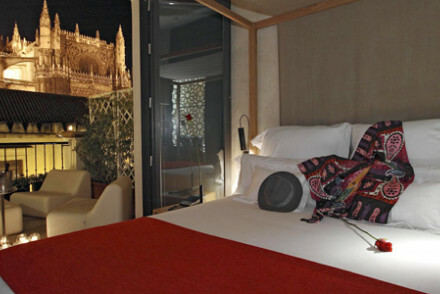 Check out the best Andalucían town and city hotels. 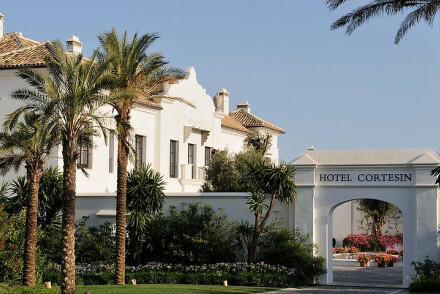 Learn more about the best seaside hotels in Andalucía. 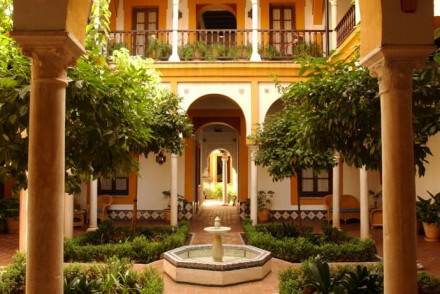 Stunning hotel in 17th century Andalusian building. Unique rooms have wrought iron beds, dark wood floors, antique furnishings and stone walls. Outdoor pool, terrace and spa treatments available. Great gourmet cuisine in a romantic restaurant; superb wine list. Historic, atmospheric and great value. 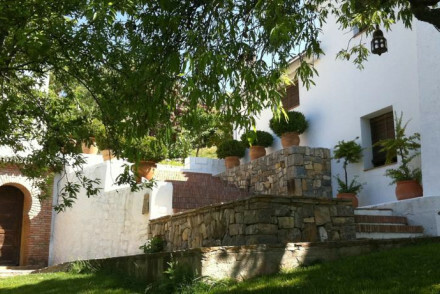 A charming converted farmhouse near the Guadalfeo River. Rustic rooms have wooden beams and all the mod cons. 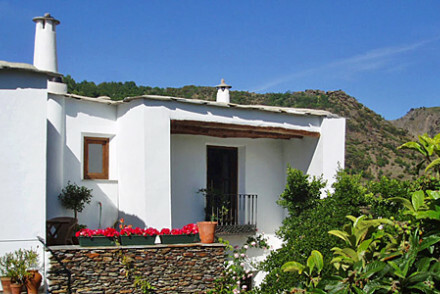 Excellent authentic Alpujarra cuisine, library, winery, outdoor pool, and farm animals. Workshop rooms host yoga, film projection and concerts. A great choice for families. A secluded hotel with celestial views of the valley and gourmet food. This tranquil atmosphere, only ever disturbed by birdsong in the heart of a National Park, is perfect for local exploring and peaceful relaxation. A good Four Star option in central Almeria. 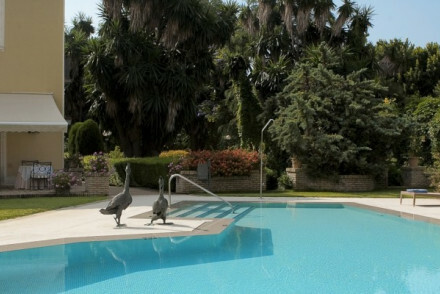 An attractive townhouse with contemporary rooms, outdoor pool, gastro-bar, and meeting facilities. A stylish spot, family friendly too. Rambling and quirky Andalucian pousada full of collected antiques and curios. Tiled courtyards, large reception rooms, white-washed walls, airy and spacious wooden-beamed bedrooms. A characterful spot with a large sun terrace and proximity to the beach. 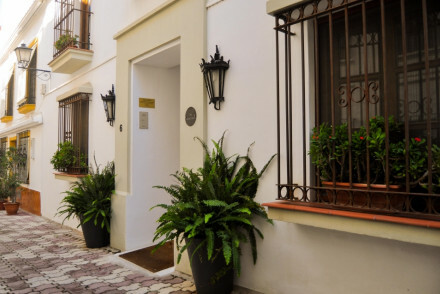 Value chic - Set in an beautiful 18th-century palace, with lovely Andalusian-style courtyars and only minutes from the beach. Local markets - Visit the local food market Mercado de Abastos, a colourful and fascinating sight. Sights nearby - Just a few minutes walk from the Castillo de Santiago, well worth checking out. 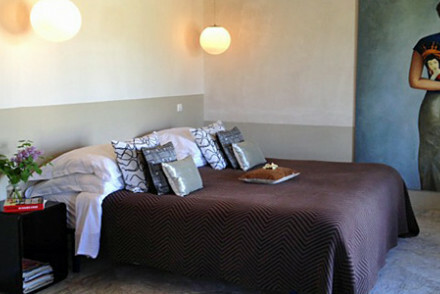 Scenic accomodation in the heart of the Natural Park of the Sierra de Castril. Simple, elegant rooms with rustic touches and three suitable for families. Loads of activities from cookery classes to jewellery design. The perfect location for an active holiday in the Andalucian countryside. 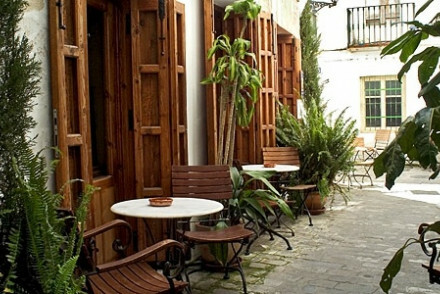 A chic little hotel in the historic centre of Tarifa. Creamy rooms with light wood floors and lots of natural light. Fantastic sea views from the rooftop and a good restaurant. Great value, ideal for a sporty beach holiday. Charming boutique B&B in the heart of pretty historic Andalusian town Ronda with original fittings including a grand 17th century door. Rooms are bright and modern, with wooden floors, air conditioning, wifi and a lovely garden courtyard. Idyllic churches and bullfighting in town. 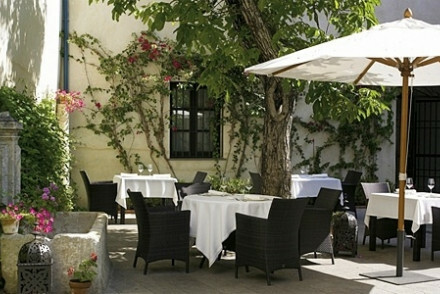 Characterful 18th-century family home hotel in the heart of old Ronda. 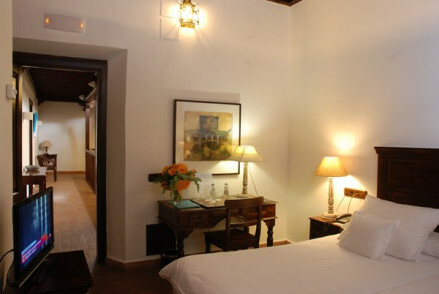 Traditionally decorated rooms in classic Spanish style, full of art and antiques. Small private cinema adds sparkle. The breakfasts are excellent. Ideal for an authentic stay. Value chic - A quaint 18th century townhouse, with stylish interiors, warm welcoming atmosphere and buckets of charm- at a reasonable price. Local exploring - Nestled in the heart of medieval Ronda, the perfect base for exploring the streets and absorbing the culture. Sights nearby - Walk across Ronda's famous gorge and visit Spain's oldest bullring and the attached museum. A glorious hotel overlooking the Mediterranean sea. 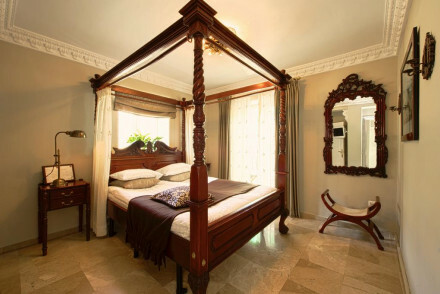 Decadent rooms feature antique style furniture, some with 4 poster beds and private terraces. Large, light apartments. Outstanding Spanish cuisine, outdoor pool, chic tapas bar and restaurant. Very romantic, family friendly, and by the beach. Views - Stunning views from the terrace restaurant. Renovated 16th-century mill. 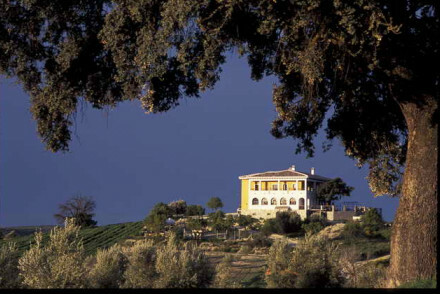 Simple hotel in rural setting, surrounded by olive groves. 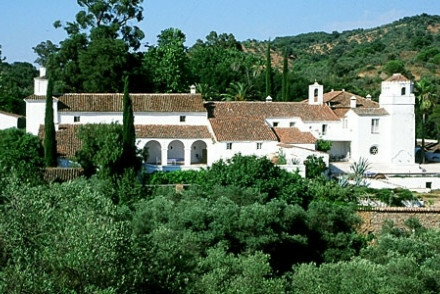 White-washed walls, tiled floors, wooden beams, with a pool and extensive gardens. Plenty of local activities, from hiking to birdwatching. Ideal for families. Families - Self contained family suites with boundless space and activities for children, plus kiddies menu and babysitters are available. Value chic - Excellent bang for your buck at this charming guest house surrounded by leafy gardens, olive groves and orchards. Birdwatching - There are a great wealth of birds and animals in the Sierra Norte de Sevilla, head out with some binoculars and spot them. Great walks - Set in the Sierra del Norte Mountains, surrounded by meadows and olive groves, plus the hotel will pack you a lunch. A contemporary hotel in central Malaga. 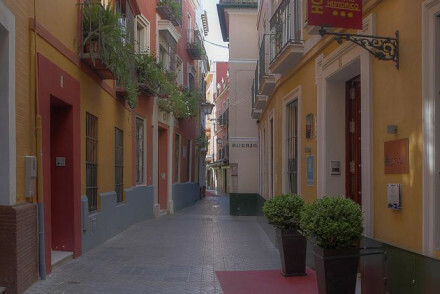 A townhouse building on a cobbled street with modern rooms and family rooms with white washed walls, splashes of orange, and views of the cathedral. A chic hotel that attracts couples and families. Sights nearby - Central location next to Larios Street and the Cathedral. Picasso and Thyssen-Bornemisza museums close by. Contemporary, laid-back, beachside hotel with views of Africa. Spacious rooms and suites with direct garden access, tennis court, small lake, large pool surrounded by palm trees and an array of sporting activities. Ideal for families. 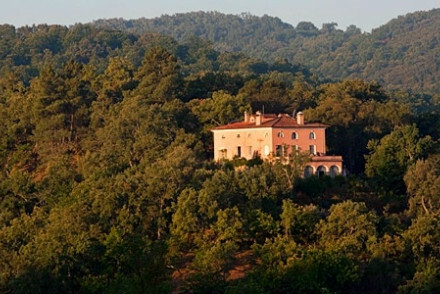 Delightful and majestic 18th century mansion, overlooking the valley in this historic hilltop village. Eclectic, bohemian interiors give the spacious rooms plenty of character. The hotel opens out around the central, colonnaded, plant-filled patio. Enjoy the views from the rooftop terrace. Writing a novel - Instilled with a haunting beauty, Acros has been an inspiration to poets for years. Great walks - Wander the picturesque alleyways of Acros as they wind their way down the hillside. Sights nearby - Check out the castle, Santa Maria and San Pedro. A restored 18th century palace in an outstanding location - near to Malaga's artistic scene and close to the coast's best beaches. Eight suites with white washed walls and wooden beams blend Moorish inspiration with contemporary comforts. Ideal for a romantic or a family break. 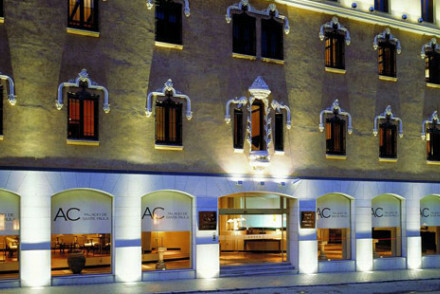 A stylish and elegant hotel just outside the old town. Luxurious, but simple rooms and suites - and apartments dotted around the old town in case you're looking for flexibility. A divine courtyard to have breakfasts in. A great spot to relax in after a hard day kite surfing. Watersports - Tarifa is famous for its kite surfing. Beautifully rustic guesthouse on a hilltop with rooms and self-catering cottages. 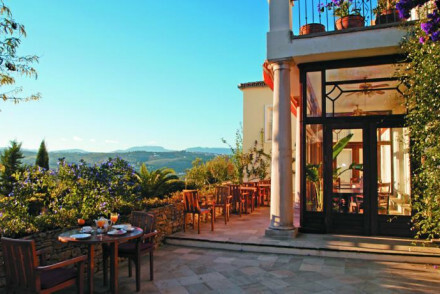 White washed walls, stone floors, wooden beams, fireplaces and stunning views from terraces. Plenty of outdoor sports all year round, excellent value, and very family friendly. Wonderful, relaxed beachside hotel in sub-tropical gardens, with views to Africa from the pool. Simple rooms with terracotta colours and white washed walls. Easy access to sporting activities. Ideal for families. Value chic - Moorish-style hotel right on the beach in Tarifa, with an excellent restaurant serving homemade pastas and a small pool. Kayaking - Sea kayaks are available at the fitness center, a great way to explore the coast from another perspective. Surfing - The beach in front of the hotel is a renowned surfing spot, complete with surf school. Simple, modern hotel with traditional architecture. Good value, set in open fields with magnificent panoramic ocean views. Easy access to endless sun kissed beaches. Plenty to keep the active entertained otherwise lie back and relax in complete tranquility. Beach Life - Stunning beaches of white sand offer surfing, wind surfing, diving and sailing, as well as spectacular sunset strolls. Total relaxation - A wonderfully tranquil Andulician rural abode, relax and recharge by the pool and wander the lush gardens. Sailing - All along the Costa de la Luz there are excellent marinas, and many places where you can hire boats or book sailing lessons. Surfing - Just a few minutes from the hotel is El Palmar beach with some of Spain's best surf. A uniquely laid back hotel surrounded by historic buildings in Ronda. Bohemian vibes and contemporary decoration. A home rather than a hotel with its help-yourself philosophy. Great for families and local exploring. A typically Andalucian farmhouse with stunning mountain views. A cluster of white washed cottages have rustic rooms with stone floors and private terraces. Lovely pool and breakfast patio. 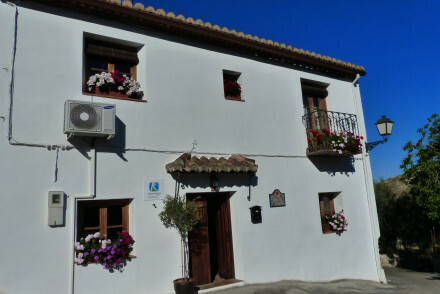 Walking distance to excellent restaurants and lots to do in the Sierra Nevada. Family friendly, very peaceful. Views - Fantastic views of the Andalucian mountains. Hugging Sierra Nevada's hillside is this 400 year old country abode. A typical Spanish breakfast of pastries and cold meats is served and there are several restaurants within walking distance. Exposed woodwork, warm reds and open hearths makes for inviting decor & the terrace is ideal for chilling. Back to Nature - The nearby Sierra Nevada is popular amongst seasoned walkers and the hotel organises up to seven day walking tours. Local markets - Visit the historical towns of Bubión, Pampaneira and Capileira for local handicrafts. 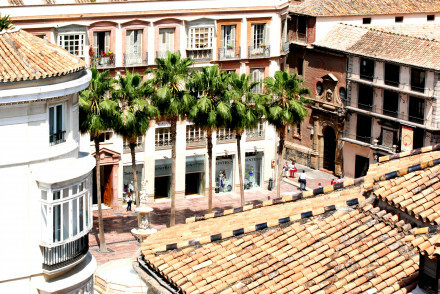 Sights nearby - Spend the day visiting the sights of Granada. 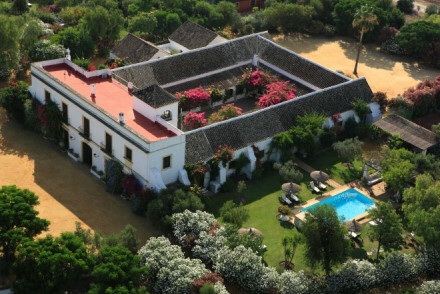 Elegant restored palace hideaway in a charming hilltop town just outside Seville, full of character. Great value, with a small pool. A fantastic little eco lodge on the edge of the Sierra de Aracena Natural Park. Simple rooms have iron beds and pretty fabrics. Lovely sitting room bar and fireplace, sunny pool, and lots to do in the forest around. Excellent value for families, nature lovers, sports enthusiasts. Eco - Ground source energy, natural cork and lambs wool insulation plus rain & well water harvesting. One of the liveliest and most sporting spots in Tarifa. 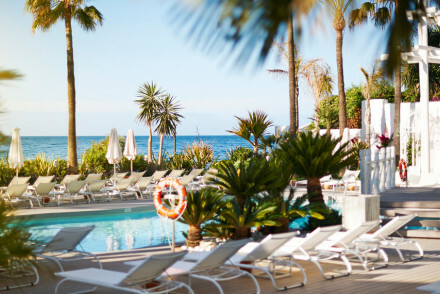 A funky hotel on the beach front with its own surf club, nightly DJ, and charming rooms. A hotspot for sports enthusiasts and families. Watersports - Tarifa beach is the best for kitesurfing in Europe. 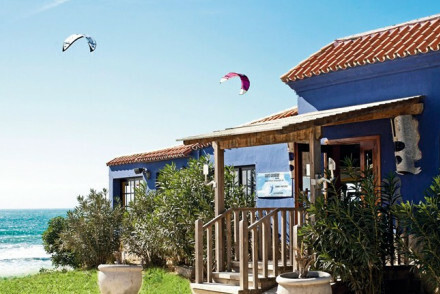 Lively - The hotel is Tarifa's hot spot for surfers. Active Holiday - The hotel has its own surf centre. Sights nearby - Roman Ruins of Baelio Claudia, Tangiers only 40 mins away. Stunning views, intimate interiors, and a calm ambience just below Ronda old town. Vibrant decor and rustic character in true Spanish style. Small library, lovely garden, and pool with wonderful views. Indulgent breakfasts. Ideal for completely unwinding. Hideaway - Peaceful and romantic escape with views of the Mediaeval town and mountains from the pool and gardens. Sights nearby - Just across the road from the former Moorish Baths, a fine example of 13th century Islamic architecture. 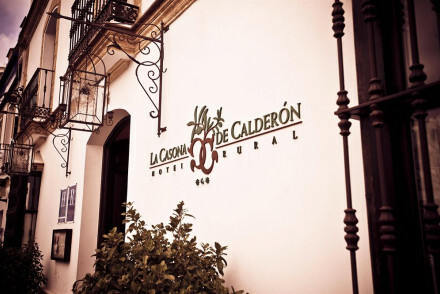 Great walks - The hotel is located in Ronda’s former Jewish Quarter, wander the narrow streets and explore. Birdwatching - Serranía de Ronda is excellent for birdwatching, bring your binoculars. Total relaxation - Lounge by the pool with views to the sierra, wander the fragrant gardens or soak in the spectacular Hammam- utter bliss! Value chic - Great value for an enchanting stay, colourful tiled archways and engraved wooden doors transport you to another time. Sights nearby - Check out Montefrio, an ancient town with multitude of restaurtants, a castle and a Roman bridge. Great walks - Wonderful walking all around the Sierra Nevada, just ask your hosts to point out the best route. A chic boutique hotel in the old town. Beautiful rooms and apartments styled on Asian cities have lots of natural light and attractive furnishings. Stunning views from roof terrace. Set in a quiet location and minutes from the sights and beaches. Ideal for a romantic holiday or group of friends. Groups - The larger suites, some with kitchens and sitting rooms, some with jacuzzi terraces, are perfect for groups. 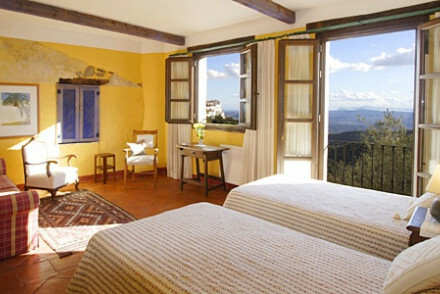 Charming small hotel and restaurant with friendly owners in a Moorish mountain village. A short drive from the coast. Great food and pool in historic hilltop village location. Cosy country styled rooms. Ideal Andalusian escape. Total relaxation - Dip in the palm shaded pool, admire the views from the roof terraces and of course drink local wine. 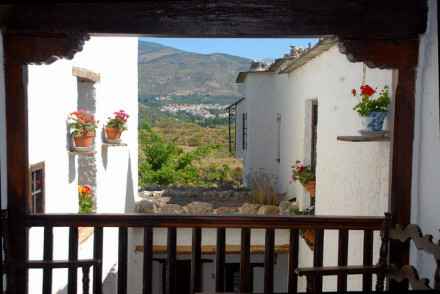 Sights nearby - Explore the lovingly conserved and unspoilt whitewashed village of Benhavis. Great walks - Wander through the diverse landscape, from mountains to valleys and coast. Fabulous little hilltop village hotel with an excellent local restaurant. 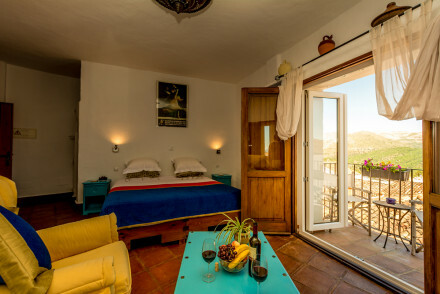 Charming rooms, two sleep four, have stone floors, wooden beams, private balconies and attractive furnishings. Wonderful valley views. A real steal and very accommodating for families. 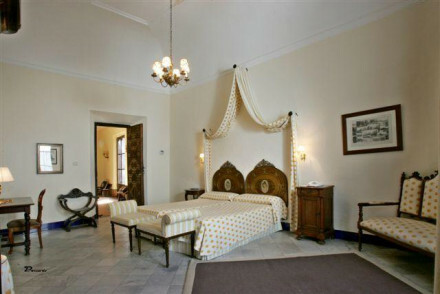 18th century palace with traditional rooms and suites filled with paintings, antiques and heavy curtains. A pretty pool and central courtyard with seating area. Excellent local cuisine served in elegant surrounds. Ideal for completely unwinding. Romantic Break - Sultry suites feature baroque décor and hand-crafted stone arches, while the courtyard offers romantic setting for a drink. Sights nearby - Visit the historic city of Córdoba, an important Roman city and an Islamic cultural center in the Middle Ages. Perfectly positioned townhouse hotel with cool contemporary interiors and no frills attached. Sunlit bedrooms and suites have attractive furnishings and balconettes. 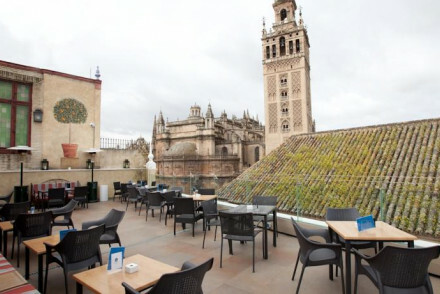 Fantastic roof top terrace and trendy bar. Great value and consistently excellent. Downtown - Very centrally positioned. Laidback, colonial style house hotel with splashes of vibrant colours. 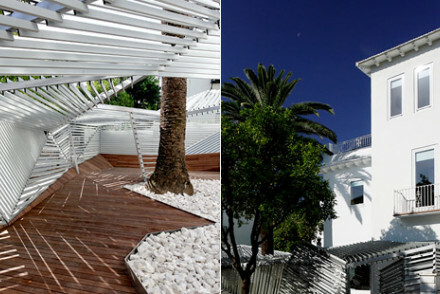 Delightful, planted garden courtyard with hammocks and full of artwork. Individually styled light rooms with great views. Indulgent buffet style breakfasts. Ideally situated to explore the historic town. Value chic - Totally affordable homely colonial style hotel, with bright interiors and a leafy garden patio with hammock for relaxing. Sights nearby - Just 50 m from Corredera Square and a ten minute walk from the Mezquita. Great walks - Explore the stunning orange scented Jewish Quarter. A sunny spot in central Jerez. Classical creamy rooms and suites with lots of natural light. Lovely pool and garden, restaurant, and meeting rooms. A stylish luxury spot for any visitor to the city. A lovely white farmhouse surrounded by sunflower fields in a nature park. 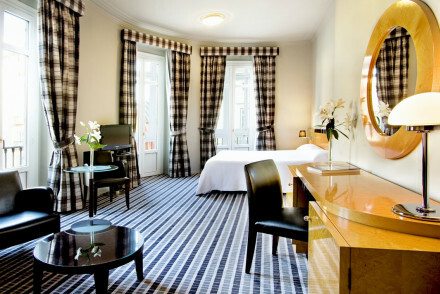 Charmingly sunny bedrooms and one family suite, swimming pool, an excellent table d'hote and lunch time picnics. A great choice for an active family holiday and lots to explore in the natural park. 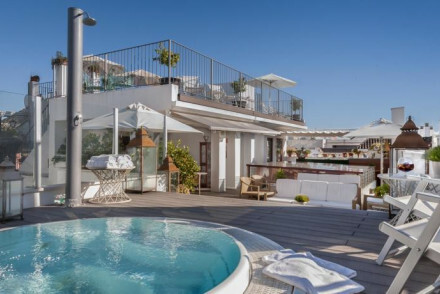 Lots of natural light shines through beautiful balconies and flag stoned courtyards in this relaxed hotel in the old town of Vejer de la Frontera. White washed walls compliment authentic decoration. A chic and, unexpectedly, cheap destination for a romantic get-away or beach holiday. Honeymoons - For a budget honeymoon - cheap and chic, and breakfast where and when you want it! Active Holiday - Very close to many sporting activities. Town - In the old town. Individually furnished self-catering apartments on the outskirts of the old town of Tarifa with a shared roof terrace and magnificent views across the Strait of Gibraltar to Morocco. Funky design hotel with colourful rooms in the Old Town of hip and happening Tarifa. Light rooms have large windows, high ceilings and modern bathrooms. The best rooms have terraces. The perfect amalgamation of old and new. Ideally situated for exploring the town or hitting the beach. Value chic - A stylish hotel in the heart of Tarifa's old quarter, under ten minutes from the beach with great views and artistic interiors. Sights nearby - Explore the Castle of Guzmán el Bueno and San Mateo Church. Great walks - Wander around the winding lanes of Tarifa's old quarter. Small charming hotel with a strong Moorish influence in the heart of Medieval Vejer de la Frontera. White washed light rooms with standout local art. Stone vaulted dining room and a lush garden courtyard. Stunning views and cocktails from the rooftop bar. Ideally situated to explore the local area. Romantic Break - Charming rooms filled with North African artefacts, a rooftop bar with spectacular views and award winning cuisine. 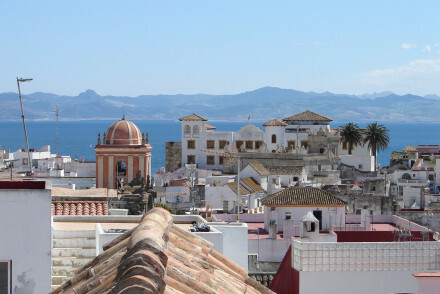 Local exploring - The hilltop town of Vejer is the perfect base for exploring the beaches and mountains of Cádiz province. Surfing - Southern Spain’s best surf beach is just a ten minute drive away, well worth checking out. 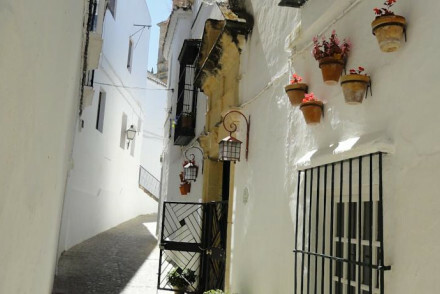 Great walks - Wander through the ancient and picturesque town to the lovely beaches of Cadiz. 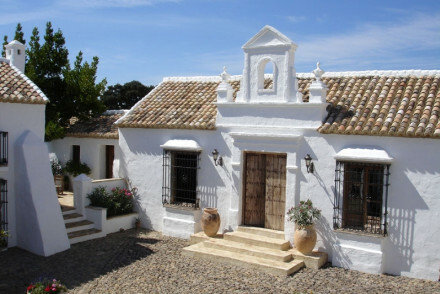 A rustic chic all white B&B in Andalucia, yet close to both Malaga and Seville. White washed walls, wooden beams, cosy rooms, and a courtyard garden with pool, boast plenty of charm. An excellent value spot for local exploring. Sights nearby - Plenty to see in Archidon, which was once the capital of Malaga district, within walking distance. Nestled in the small town of Baeza in Southern Spain, Hotel Puerta de la Luna has been created from a 17th century townhouse. 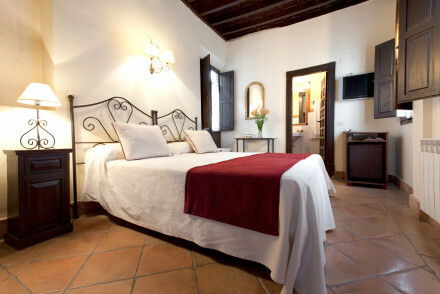 Beautifully designed bedrooms offer fresh light modern interiors with historic Spanish touches. Relax by the pool or explore the local delights. 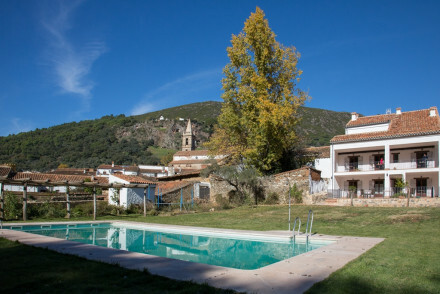 A fantastic bull breeding and equestrian ranch in the middle of the Sierra Morena. Rustic rooms, cosy living areas with fireplaces and excellent local cuisine. Bull fighting lessons, riding, hunting and nature trails. 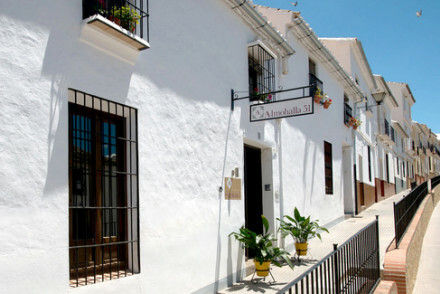 A taste of traditional Andalucia, perfect for families and groups. Truly unique! Unusual - The ganaderia is dedicated to the rearing of magnificent fighting bulls. 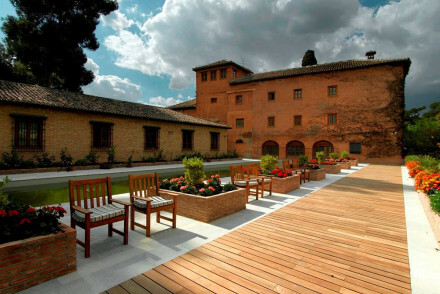 Active Holiday - The ranch is built for equestrian activities and bullfighting. Views - Fantatic views over the ranch. Riding - You can bring your own horses. A good Five Star hotel close to all the attractions. Contemporary chic rooms and suites in browns, yellows and whites with private balconies. 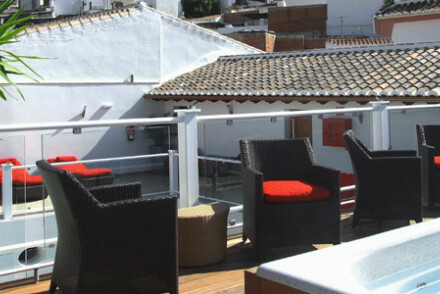 Fantastic roof top terrace with pool, excellent restaurant and good value too. A stylish spot in the centre of Malaga. 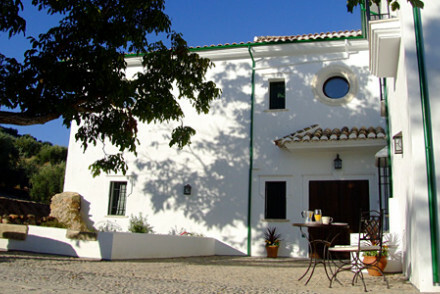 Gorgeous white washed Andalusian farmhouse B&B. 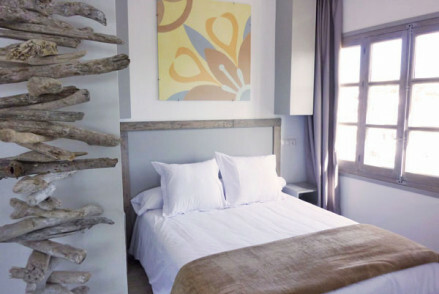 Bedrooms have stone floors, wooden beams, attractive furnishings and splashes of modern art. Lovely breakfast room and stunning views from the pool over the valley around. A peaceful choice with plenty to do in the surrounds. Sights nearby - Ronda, Seville, Granada, Cordoba and Jerez and Cadiz. 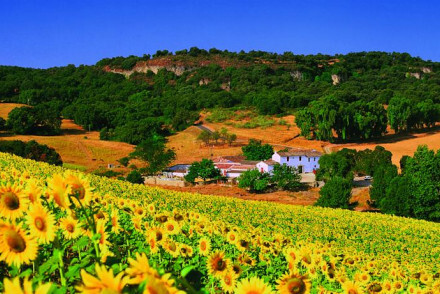 A lovely rustic farmhouse B&B surrounded by olive groves and rolling countryside. A white washed building with charming rustic interiors - stone floors, wooden beams, fireplaces. Lovely pool and garden, lots do to in the countryside around. Excellent value. Sights nearby - Alhambra in Granada, Renaissance towns of Ubeda and Baeza, both UNESCO World Heritage sites. 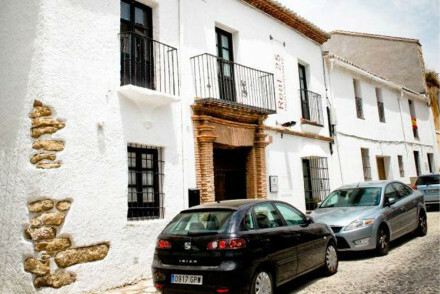 Cosy and intimate boutique hotel in centre of traditional white washed village. Charming interiors, airy rooms, great attention to detail. Log fires in the winter, extensive library. Perfect for a relaxed break. Country Escape - A small secluded white village, nestled in the mountains and Chestnut forests, wonderful walking and laid back atmosphere. Birdwatching - A great spot for birdwatching simply from the hotel rooftop or out in the valley. Sights nearby - Check out nearby Ronda, with Arab Baths, great bars and Spains oldest bullring. 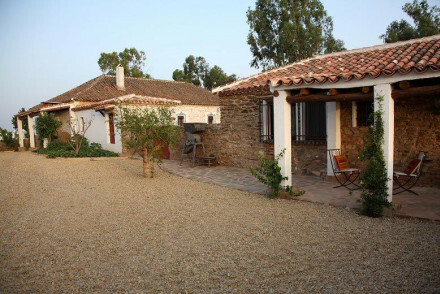 A lovely Cortijo set in a Natural Park. Blissful green surroundings, sitting rooms with fireplaces, sunny patios and a pool, massages, and authentic cuisine. 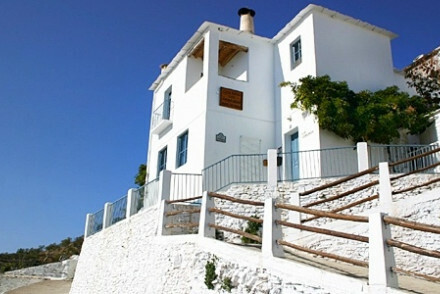 Rooms and one villa sleeping 4 are all in white with traditional furnishings. A great choice for outdoor activities and relaxation. 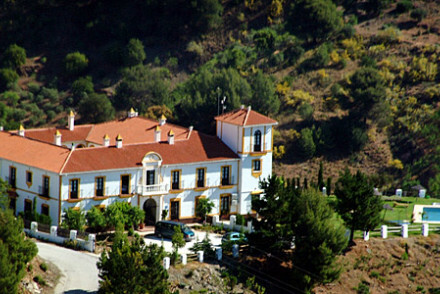 A lovely Andalusian styled hotel in the middle of the Sierra Nevada. 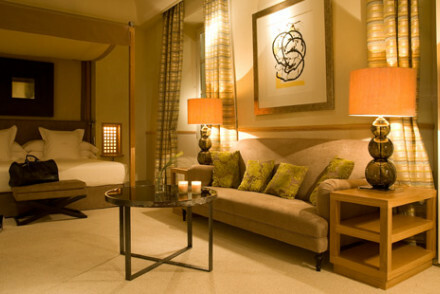 Contemporary elegant rooms and family rooms with fireplaces and creamy furnishings. Cosy sitting rooms, sun-trap pool, and an excellent table d'hote. A great choice for nature lovers, foragers, and sport enthusiasts. A lovely stone lodge in the middle of the Sierra Nevada Natural Park. Rustic bedrooms have wooden beams, fireplaces and stone floors. Spectacular views over the hills and mountains around from terraces. A great choice for a sporting summer or winter holiday. Restrictions on children - Children over 12 welcome. 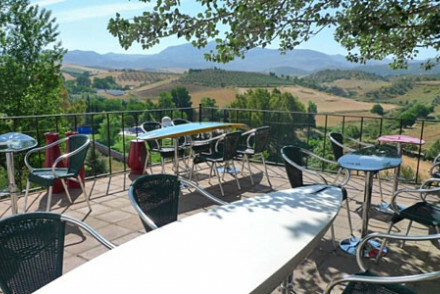 Comfortable family hotel, a restored olive mill in a stunning location. Shaded gardens, flowering terraces, with pool and garden restaurant. Pretty traditional bedrooms with white washed walls and wooden beams. Good organic local food. Ideally located to to explore the local area. Total relaxation - Phenomanal walking, solar-heated pool under the dappled shade of fig trees and top notch Organic Spanish cuisine. Great walks - Set in a National Park there are endless walking routes right from the door, plus the hotel will pack a lunch. Birdwatching - Be sure to bring your binoculars, Ronda mountains play host to a large variety of birds. Sights nearby - Filled with Roman and Arabic architecture Ronda is just 15 minutes from the hotel. 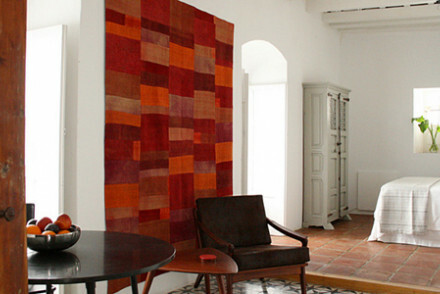 A remote country house B&B set in the hills of Aracena. A striking pink building with five charming rooms and suites in pastels with watercolours, rugs, and lovely views. Sunny terraces, infinity pool, sitting room, excellent table d'hote and plenty to explore. A great choice for families. Sights nearby - Rio Tinto mining area, which includes Roman works, a cemetery, a steam engine and mining museums. 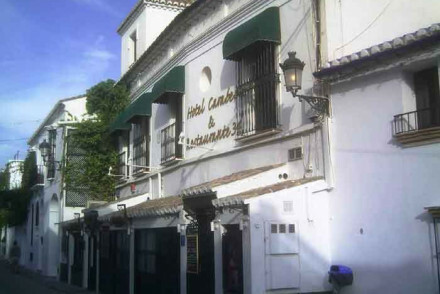 A traditional hotel in the narrow alleyways of the old quarter of Córdoba. 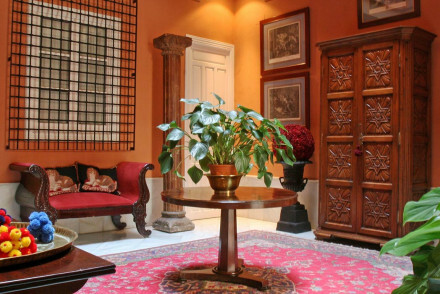 Sumptuously decorated rooms with Cordoban antiques, Moorish influence and Roman mosaics. There is a charming courtyard, wine cellar and a locally renowned restaurant. Ideally positioned for exploring the historic town. Local exploring - Well situated in the heart of the UNESCO World Heritage Site of old Córdoba, and right next to the Jewish quarter of La Judería. Sights nearby - Within walking distance of La Mezquita and 14th-century palace Alcázar de los Reyes Cristianos. Great walks - Explore the narrow alleyways of the Jewish Quarter. 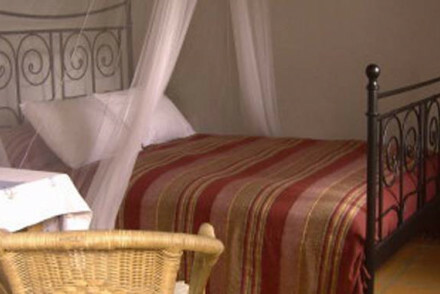 A chic boutique B&B with individual cottages sprawling through beautiful flora and fauna gardens. Set on a hilltop overlooking the Mediterranean and Marbella. An ideal location for a weekend wedding or a group/family holiday. Views - Of the Mediterranean and of Marbella. Groups - The whole house can be rented. Weddings - Tailor made wedding weekends. Private villas - 5 luxury cottages. 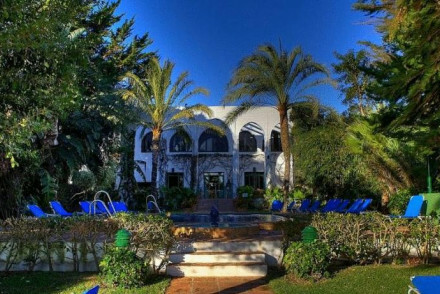 If you're looking for a chic and simple base from which to explore Marbella then this boutique B&B is perfect. White washed walls and wooden beams with a flash of antique decoration. A private and intimate destination. Well-preserved 16th-century palace, now a wonderfully aristocratic maison d'hote. Secluded setting, centred on a cloistered courtyard, furnished with family antiques. 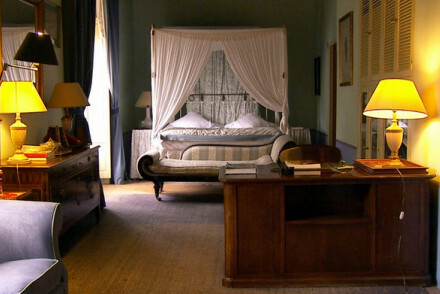 Large baronial bedrooms with tasteful decor such as draped fourposter beds and fine wooden wardrobes. An enchanting couples retreat. Romantic Break - Renaissance style palace with beautiful courtyard garden and charming antique filled suites ideal for a romantic break. Great walks - Wander the UNESCO World Heritage Site of central Úbeda, filled with historic buildings and churches. Sights nearby - Visit the Plaza de Molina Square, a typical example of Renaissance architecture. This beautifully decorated hotel oozes boutique luxury. 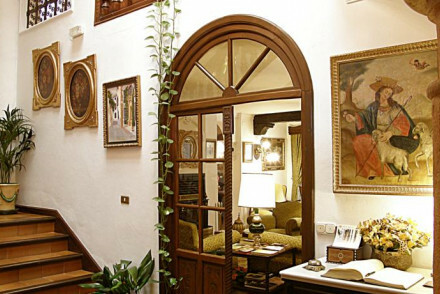 An eclectic combination of Goan antiques, original features, and contemporary muted hues. The roof top terrace, with jacuzzi, is the piece de resistance with its views across wild plains and towards Moroccan shores. Relaxation in style. 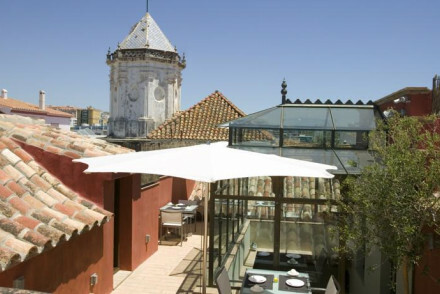 City Style - Although Vejer is not a city, this hotel is so stylish it deserves noting. Views - Views to Morocco on a clear day, and over the surrouning plains. A remote B&B with peaceful views of the surrounding hills. Bali inspired rooms and suites in splashes of orange and turquoise. Self-catering kitchenettes are great for families. Lovely pool and lots to explore in the region. Suited to honeymooners and families. Great walks - Stunning trails of the Grazalema Park. 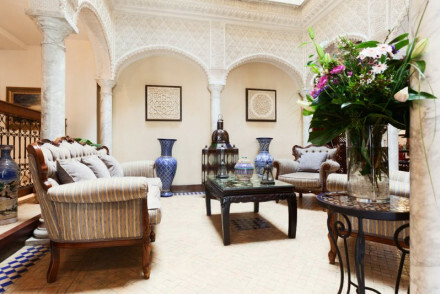 This hotel melds Moorish authenticity with contemporary style fantastically. 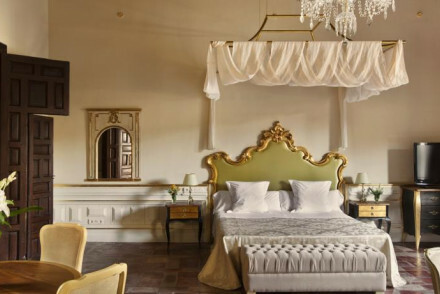 Faded frescoes, sand coloured stone, and Roman baths are complemented by modern comforts with utmost romance. Gourmet dinner in the inner courtyard is a show stopper. Never mind the city, you might never leave the hotel. 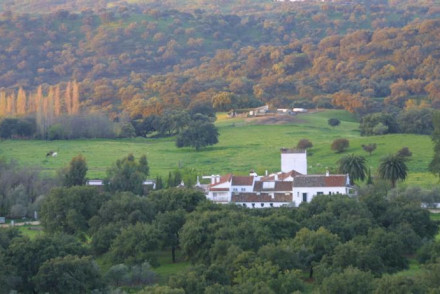 Fairytale five star Andalusian ‘village’ set in a 1,000 acre private country estate. Olive groves, oak trees, rolling countryside. 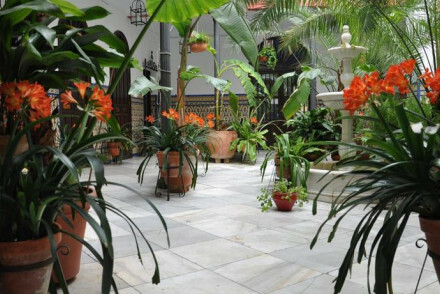 Courtyards, gardens and fountains, plus palatial rooms full of Moorish furniture and art. Fine dining restaurants, spa and pool, ideal for families. 19th-century hunting lodge on the edge of family vineyards, converted into a stylish boutique hotel for enjoying fine sherries and relaxing. Large rooms, high beamed roofs, great bathrooms. Shady garden, swimming pool, and lake. Butler service and honesty bar. Indulgent country retreat. 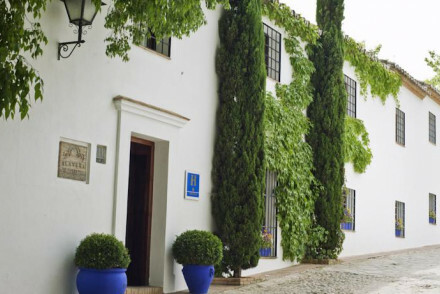 Country Escape - A tranquil country hotel surrounded by rolling vineyards and charming gardens, only a short drive from the town of Jerez. Great walks - Wander through the vineyards from the hotel, bring a picnic and explore this stunning landscape. This renovated farmhouse turned luxury small hotel is perfectly placed for a fiesta of activities, from golf to art classes. Set in acres of grounds with unspoilt views, it is the perfect place for a couple to snooze by the pool and dine on delicious, fresh local produce in the evenings. Converted olive mill with beautiful gardens. Chic white washed bedrooms boast balconies with stunning views, some have enormous copper baths. Terrace restaurant serves food using local produce. Ideal for completely unwinding. Romantic Break - Muslin draped beds, private terraces, copper baths and utterly delicious cuisine served under a canopy of stars. Total relaxation - Spend your days lounging by the pool, wandering the gardens or being massaged in the privacy of your room! Sights nearby - Visit the bridge, the Arab baths and the Mondragón Place in nearby Ronda. Romance in microcosm. This secluded hotel made up of four beautifully decorated suites perfects the art of intimacy. An understated and secluded destination. A charming hideaway country hotel on a former olive estate. Rustic charm mixed with modern sophistication. The hotel sits on 35 hectares of romantic gardens, with three picturesque pools and a variety of outdoor dining options. A slice of heaven. Restaurant - Excellent romantic dining. Swimming Pool - Three gorgeous pools. Birdwatching - Doñana National Park is one of Europe´s most important wetland reserves and thus one of the best birdwatching spots around. Cooking classes - The hotel can organise a half day Cooking class in a Seville Restaurant. Grand Andalucian luxury on the sea front. Beautiful sunny rooms and suites have white washed walls, parquet floors, creamy furnishings and private balconies. Many restaurants, tennis courts, spa, private beach and kids club. Perfect for beach life. 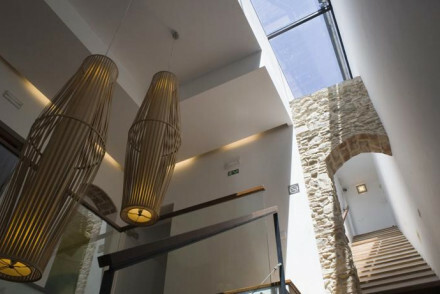 Sophisticated and elegantly restored 17th century townhouse, in Marbellas old town. The seven chic and individual rooms feature Moorish-style arched doorways, peaked timbered ceilings and understated contemporary touches. Sunlit interior patio, gourmet dining and rooftop terrace. Totally unique. City Style - Beautiful stucco façade, vaulted archways, and carved wooden doors refreshingly matched with sleek modern design. 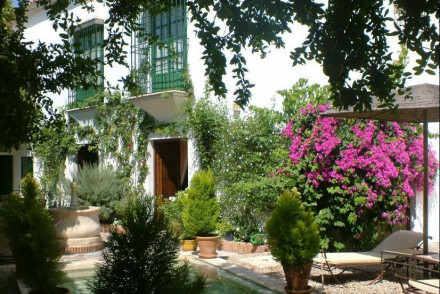 Local exploring - A discreet Andalusian oasis in a 17th-century mansion at the heart of Marbella's lovely labyrinthine old town. 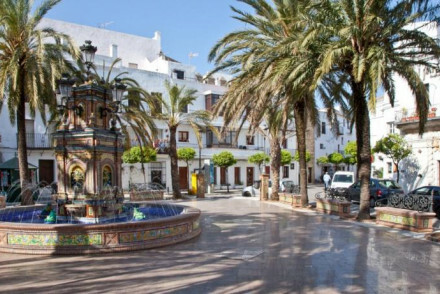 Sights nearby - Visit the enchanting Plaza de los Naranjos, with its lively terrazas, orange trees, and Castilian Renaissance architecture. 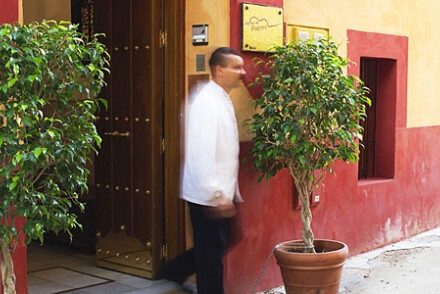 Great walks - Wander the winding narrow lanes of the old town, pausing for wonderful food under the orange trees. A golf, spa and beach resort that offers a unique experience. Elegant in its classic style and luxurious with its outstanding facilities. Located in a natural paradise on the shores of the Mediterranean. An oasis of relaxation for families or those seeking something princely. Private villas - Especially suitable for families or absolute privacy. Families - There is a popular children'c club in the summer. Garden - Manicured tropical gardens. A stunning golf resort with beautiful suites. The golf course is not the only wow factor - the spa, delicious food, and fantastic reception rooms make this an ideal place for private parties and gourmet spa breaks off the golf course. Golf - Championship 18-hole par-72 course spread over 70 acres, plus Nicklaus gold academy. Views - Exceptional views of the golf course and over the Mediterranean.